This could not be any cuter! Stretched on canvas, this is original art - not a print. I could not be happier with the purchase. Initially concerned when I received a very damaged box, the item came through shipping fine. I have this hanging in my office - makes me smile every time I look at it. Nice quality. Escape the mundane as you chuckle at these comical Cool Dogs. 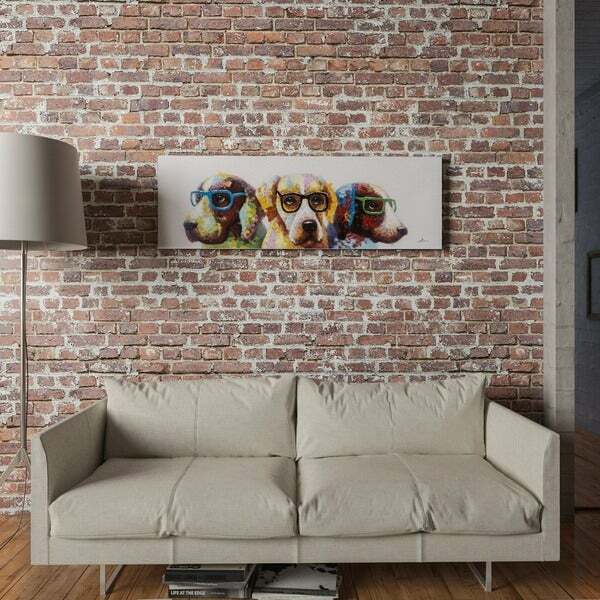 Arriving ready to hang, this hand-painted wall art features a humorous scene and a colorful design to brighten your room and your spirits.